Bavius Technologie GMBH has been one of the world’s leading manufacturers of 5-axis high performance machining centers for more than 30 years. We offer standardized machine concepts with a modular design to be flexible in finding the optimum solution for your machining requirements. Thanks to a large number of automation solutions, we ensure a unique versatility for a wide range of applications. Horizontal machining centers for precise machining with the highest chip removal rates. Excellent productivity combined with small footprint. With its HBZ AeroCell, HBZ CompactCell and HBZ Trunnion series, Bavius offers a product line that stands for short machining times as well as optimum machining strategies and quality. 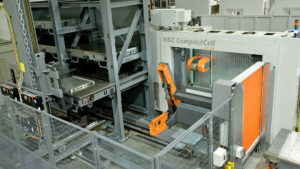 The machines in the HBZ AeroCell and HBZ CompactCell series are predestined for cutting-intensive 5-axis machining of aluminium and cover a wide range of applications to workpiece sizes up to a length of 7,000 mm and width of 3,000 mm. The HBZ Trunnion series additionally extends the material spectrum by hard-to-machine materials such as steel and titanium and allows machining for small parts with an interference contour of less than 1,000 mm up to 1,700 mm. The intrinsically rigid machine design ensures stable and precise machining even at high travel speeds and accelerations. The horizontal spindle position guarantees optimum chip and coolant management without recutting. Bavius horizontal machining centers ensure high user friendliness thanks to their intelligent design: good visibility into the workzone during the machining process as well as loading and unloading take place ergonomically in a horizontal table position. The HBZ product line comprises three machine series with different technological highlights and sizes. The horizontal machining concept allows us to cover a wide range of applications in 5-axis cutting. We provide the optimum machine for your specific application! 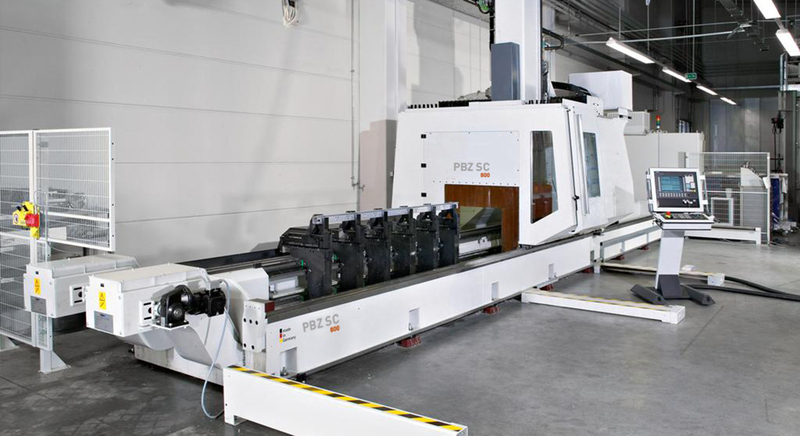 Different lengths, technological highlights as well as differences in design: With its PBZ HD, PBZ NT and PBZ SC series, Bavius offers profile machining centers for all profile cutting applications. In light or heavy extrusions, solid material, short and narrow as well as long and wide profiles up to 30,000 mm, complex tasks are performed in aluminum and steel. In all cases, the profile machining centers guarantee highly dynamic and economical cutting to meet high quality demands. Individually configurable clamping vice and table variants make it possible to realize a wide range of solutions for flexible workpiece clamping. 6-side complete machining is also possible through end machining. High moving portal machining centers with moving Y-Bridge for dynamic and stable machining of large-volume lightweight and heavy work pieces. A machine concept that permits both dynamic 5-axis simultaneous machining of large workpieces as well as heavy-duty cutting and HPC machining with high torques? 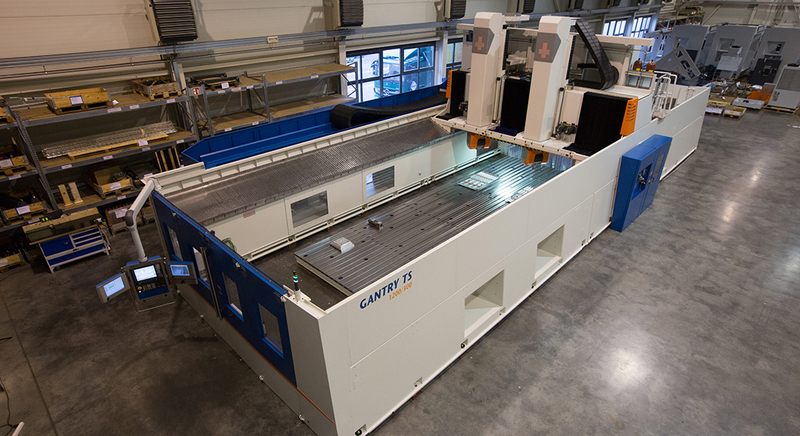 The GANTRY product line successfully achieves this with two machine series and a high level of modularization: The GANTRY HD is the specialist for dynamic machining and high speed cutting in aluminum. In contrast, the GANTRY SD features very large drives and guide rails for stable and efficient high performance machining of aluminum and heavy-duty cutting of steel and titanium. The intrinsically rigid machine design with high moving Y-bridge guarantees highly precise machining on table sizes up to 47,000 x 7,000 mm in both variants. Both series of the high moving portal machining centers can be flexibly customized by means of a wide range of options and optimally adapted to your requirements. Two special configurations are particularly worth highlighting: the configuration with double portal (DP) and the configuration with two spindles (TS). 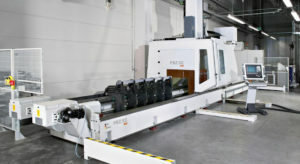 The GANTRY product line comprises two machine series with different technological highlights and sizes. This allows us to cover a wide range of applications in 5-axis high moving portal machining centers and to provide the optimum machine for your application. Modular universal machining centers for flexibility and highly-precise machining of work pieces up to 12 x 2 m.
Dynamic HSC machining of aluminum with high speeds and power as well as powerful HPC machining of aluminum and heavy-duty cutting of steel and titanium with high-torque spindles: The machines in the UBZ product line are universally suitable thanks to machine designs and configurations tailored specifically to these applications. The differences between the UBZ SD and UBZ HD are based on the materials that can be machined. This in turn is the result of the specific configurations of the guide rails and drives as well as the rigidity of the machines and suitable spindles. The 5-axis UBZ universal machining centers guarantee precise and productive machining of workpieces up to 12,000 x 2,000 mm. Thanks to their modular design and a wide range of options, both series of the universal machining centers can be flexibly customized and optimally adapted to your requirements. Individual automation concepts round off the modular and customer-specific machine concept. 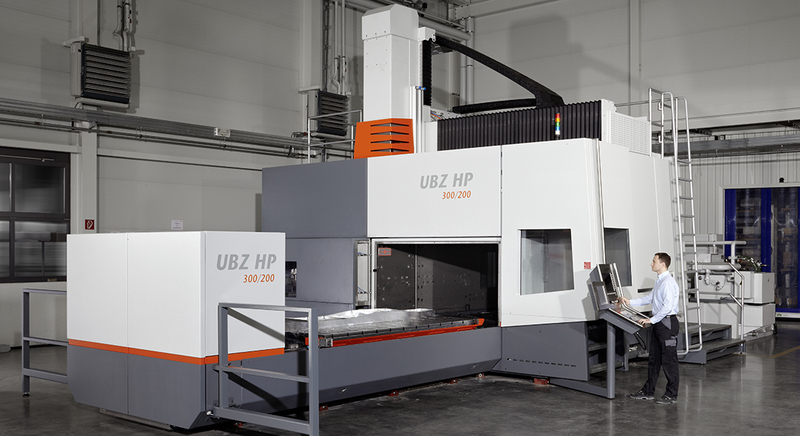 The UBZ product line comprises two machine series with different technological highlights and sizes. This allows us to cover a wide range of applications in 5-axis cutting and to provide the optimum machine for your application. With the numerous available options. We jointly find the optimum automation solution for your individual processes. Increased productivity and a reliable production are the goals. Modular machines and an extensive range of options. In different areas make it possible to customize all Bavius Machining Centers. 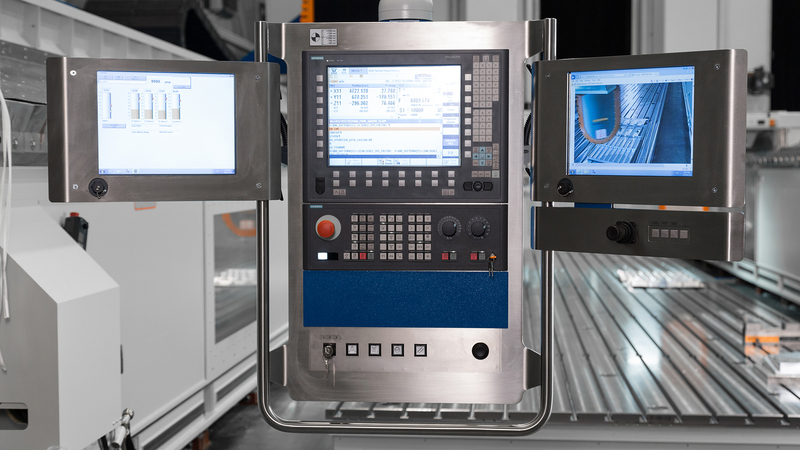 Configure your machining center optimally for your needs.